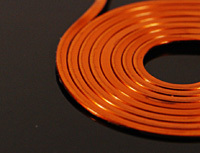 Electromagnetic Induction Coil- For contactless charging / wireless charging – Shibata Co., Ltd.
We are providing electric wire, coaxial cable and water filter. 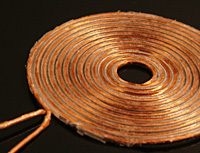 Our Electromagnetic Induction Coil is the ideal solution for wireless charging and wireless electricity. 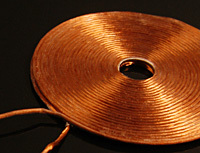 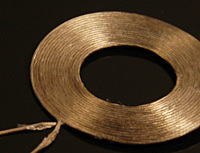 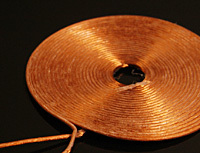 Technologies of Wireless Charging realize contactless charging or transfer of power to electrical devices.Our high-performance Electromagnetic Induction Coil, by using Litz Wire or Magnetic-Plated Wire, has tackled the problem of skin effect and proximity effect caused by the increase of high-frequency resistance, is the ideal solution for wireless power charging and transfer which are recently the market’s spotlight. 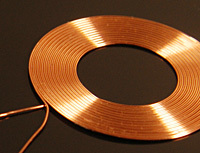 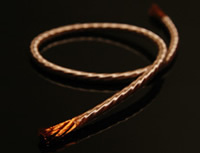 We provide coils of either primary side or secondary side by resonance method and electromagnetic induction method for contactless charging. 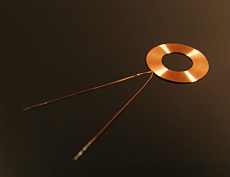 © 2017 Shibata Co., Ltd., all rights reserved.